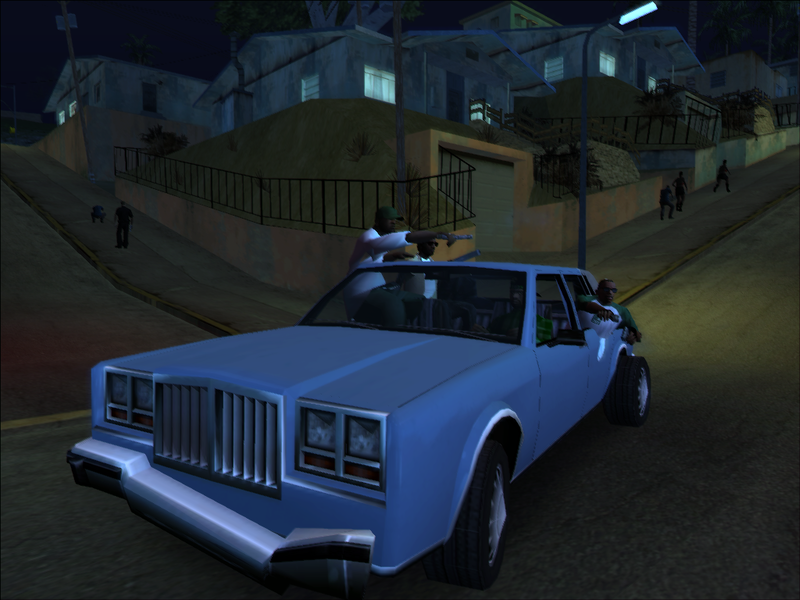 This mod allows you to use your homies to drive you, and yes, you will have to get out of the car to change sits. gangsta with someone that drives you around. All of this is done without CJ touching the wheel. Yeah, i remember it too, however there was certain problems and crashes with it, so i said "screw it" and made my own, with even more features in it. but on the other hand the majority of commands work on grove members, but of course it have certain bugs like, if you press o and your recruited grove enter in a car but you accedentaly press another key so your player cancel the action of enter as a passenger, is possible that suddenly cj doesn't get in the seat passenger when you press o again, sometimes he do it (he enter) but some times not, or probably when this happens and you press g to your gang member get out of the car so you can press o and try again and.... nothing happens in that car.. Yes, it's a tricky way of doing things. Yes, only homies can drive you, no one else, i made it like that on purpose. I thought everyone was familiar with cleo at this point in time, but when i actually get around to improving this i will provide an installation tutorial. For now: Whenever you press O and carl gets in the car, if the homie doesn't, then get out, walk away from the car a little, you'll see that carl kind of stops walking, when that happens, return, and press O again, if the homie doesn't get in, release him, recruit him again, and press O, then it should work. Sorry to make this so messy, improvements will come. Here, problems with carl or the homie not getting in the car or being paralized or any other problem with that mostly solved. I recommend memorizing controls in the readme.